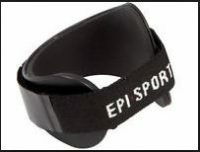 )Helps relieve pain from muscular overuse caused by work, sports or injury. 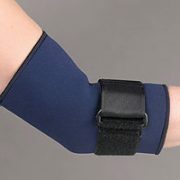 Provides targeted compression to the long tendons of the forearm allowing them to remain parallel and pain free. Dual action compression works simultaneously to treat lateral and medial epicondylitis (forehand and backhand tennis elbow). 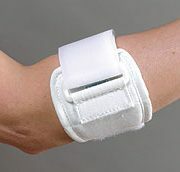 Ideal for epicondylitis, tennis elbow and muscle strains. Provides relief from Carpal Tunnel Syndrome, arthritis, and tendinitis. Comfortable shock absorbing liner also helps wick moisture away from the skin.